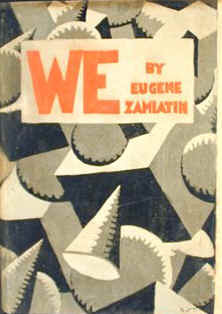 Zamyatin’s hero D-503 seemed quite pleased with his personal dystopia. Jean-Jacques Rousseau’s 1762 work The Social Contract is in many respects an answer to his earlier work on inequality from 1754. In his discourse on inequality, he elaborated on the concept of amour propre, from which all inequality derived. This amounted to a kind of egotism, or self-love of a particular kind, not what he calls amour de soi-meme, or love of oneself, which is a more visceral, base, defensiveness or protectiveness. The amour de soi-meme is a natural basis for self-preservation, much one could say as the spikes on a porcupine represent that animal’s amour de soi-meme. The amour propre is the basis, he says, for honour, deriving as it does from a sense of esteem, something that is relative (to other people) and created by society. Hobbesian vainglory, Platonic thumos, Freudian egoism, even Nietzschian supremacism – there are other incarnations of this concept, and in responding as he did in the Social Contract to this particularly human (and male) characteristic in The Social Contract, Rousseau extended the concept in The General Will. The General Will was in essence a collective will, an abstract concept of the sovereign that represented the will of the people. Those people offered up their freedom to the sovereign, who in turn granted them rights; true freedom, Rousseau says, accrues to men who obey the laws that they themselves create. It is not merely the freedom as in the State of Nature, a freedom to do whatever we want to whomever we want, but a moral freedom. It is not freedom of the old, a Platonic or Arsitotelian view, which was not individualistic but rather of the commonwealth, but neither is it an individual personal freedom; it’s a kind of half-way house, wherein the State can claim true legitimacy, where people enjoy a kind of moral freedom. Critically – and I’m getting to the main point here – this General Will which infuses the sovereign with legitimacy, is based on the individual free will, that amour propre, or thumos, that decides to create and subject itself to the General Will. We can predict revolutions with enough data. We can predict everything with enough data. This line of thinking incorporates chaos theory (there is no chaos, only unmonitored and unmeasured objects and therefore unpredicted futures), and the philosophy of time (Bergson). We are machines…as Hobbes put it “What is the heart but a spring, and the nerves but so many strings, and the joints but so many wheels, giving motion to the whole body?” People may suggest that all after the big bang may have been predictable and scientifically provable with the right instruments, but what went before? Maybe there is something divine, something post-scientific, something incomprehensible beyond that point. But here in the observable universe, it appears that our opinions of ourselves may be somewhat inflated; where are choices that we make not influenced by surroundings, context, history, time? Where are our choices entirely that of an independent rationality, and not some cocktail of religion and politics and family and ego? Our stories and our epics and our eulogies are interesting because they are relative, not because they are unique. They are attractive because they might be us, something in them – even in the superhero – presents some kind of socialised ambition that enhances or answers the thumos, the spirit. Still we should rejoice! For it means, like Zamyatin’s hero D-503, that data – science – can triumph, that it can find a perfect world, that it can achieve all of our ambitions – immortality, world peace, world prosperity – but one wonders whether such a life, free of dirt and blood and pain, would be, in a relative sense, very interesting at all. The Social Contract and the abstraction of the General Will sought a transformation in human nature, a socialist, collectivist spirit within which the edges of inequality could be smoothed. It certainly heralded – with the French Revolution and its liberal democratic aftermath – a transformation in human government. Data may do the same in the next hundred years, but human nature has proven stubbornly resistant.